International shipping refers to a shipment to any location that requires export documentation. Please review our international shipping policies and procedures contained on this page. Please review below policies and charges unique to your shipping destination, ordering & payment procedures, and our international exchange and return policies which, by necessity, differ from our domestic shipping policies. Please note that you are responsible for any tax or duty payments assessed by the destination country. INTERNATIONAL ORDERING ONLINE: Please note that our website does not have the ability to check international addresses for accuracy. When you see the orange address verification box, check your address for accuracy and then click “CONTINUE”. If you wish to clarify your shipping address, please use the delivery instructions box at checkout. Please include your local phone number with your order as some countries require it as part of export documentation. Ordering by Phone or Email – If you prefer you can also call in an order during our business hours at 866-296-8311 or 508-459-7500. You can also start off by submitting information by email to customercare@serenecomfort.com. Please DO NOT send payment information by email. Possible Exclusions: Please note that some products might not be appropriate for our method of shipment or may not be allowed by the destination country. We reserve the right to remove these items from an order and will contact you prior to processing of the order. Please see specific shipping destination instructions and procedures below. International Payments: We accept PayPal, Visa, and MasterCard. Currency: All amounts shown on the Serene Comfort website are in U.S. Dollars. If there is an amount shown elsewhere in a foreign currency that differs because of fluctuating exchange rates, then the amount shown on the Serene Comfort website is the binding correct amount. International Order Processing Time: International orders are typically shipped out within 1 to 3 business days from the receipt of the order. Unlike many retailers, we are happy to accept a product coupon to be used in international orders if you have a valid one at the time of the order. The value of these coupons can significantly offset shipping costs. This coupon cannot be combined with any other coupons. Duties and taxes are determined by the destination country. They are based upon such things as the type of product, fabric, country of origin, weight, etc. Since we have such a wide variety of products and each destination country has its own rules we cannot give you an estimate of the cost. You will also be responsible for any Taxes and Duty payments that will be required by the destination country prior to taking possession of the package. We will now extend our shipping to APO, FPO, DPO Destinations which will ship, in most cases, using our standard US domestic postage rate and policies (Free U.S. shipping on all orders). If there is a different rate applied by the USPS to a specific destination, we will notify you prior to completing the order. All shipments to Canada will be by United States Postal Service (USPS). The final stage of the delivery will be made by Canada’s own postal service. Please include both your email address and phone number with the order for export documentation and notification. You will be charged by Serene Comfort for the shipping charge. You will also be responsible for any Taxes and Duty payments that will be required by the destination country prior to taking possession of the package. The estimated (but not guaranteed) delivery time is 6 to 10 business days for major markets. That does not include the time to submit and process the order. Product Order amounts are net of any coupons. The estimated (but not guaranteed) delivery time is 7 to 21 business days for major markets. That does not include the time to submit and process the order. Product order amounts are net of any coupons. Because of package size limitations, bulky polyester fleece type items are not eligible for 1st Class Shipping. Serene Comfort is currently shipping to the countries listed at the top of this page. Other countries will be added over time. All shipments will be by United States Postal Service (USPS). The final stage of the delivery will be made by the destination country’s own postal service. Please include both your email address and phone number with the order for export documentation and notification. You will be charged by Serene Comfort for the shipping charge. You will also be responsible for any Taxes and Duty payments that will be required by the destination country prior to taking possession of the package. Exchanges: All items sent back as exchanges are processed as regular returns. If you want the same item in a different size, please submit a new order for that item. There is no free shipping for an exchange. Returns: International shipment returns are accepted within 60 days of the shipment date from Serene Comfort when products are in new condition and are unworn, unwashed, with original tags attached and packaging materials included. Please be careful when trying on... we cannot accept returns of garments damaged by make-up, perfume, and stains. Shipping charges along with any duty or tax payments are not refundable. The customer is responsible for all costs associated with returning the product. We recommend insuring the package for the value of the product as we cannot issue refunds until we receive the returned product. Any item that you believe is damaged or defective can also be returned for a refund of the product cost only. Please send the product, including all tags to the address below. 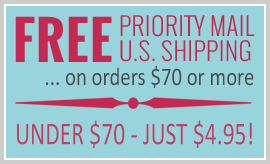 All Priority Mail and most 1st Class International shipments will include tracking information. Please monitor the shipment tracking since it will be relied upon for delivery verification in countries that continue the tracking process. We need to be notified of any problem in a timely basis from your expected delivery date to be eligible for a refund. To protect customers and Serene Comfort, we closely review all international orders for any signs of fraudulent activity. If there are any issues related to the order that are typical of possible fraud, we reserve the right to limit the size of the order or cancel it. If an order is placed that is unusually large, it will be reviewed more closely and may be subject to adjustment. We will not ship multiple orders to a customer until we receive confirmation that the previous one has been received with no problems. The ship to address on an order must be the same as the bill to address.